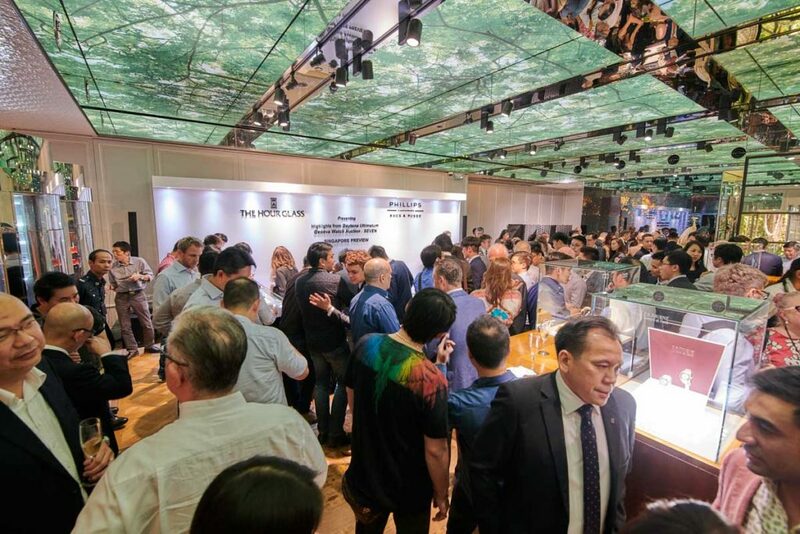 While Phillips Watches were in Singapore, earlier in April, with highlights from their spring 2018 sales, at the Malmaison by The Hour Glass, Revolution got the opportunity to sit down with the man at the helm of the auction house, Aurel Bacs. 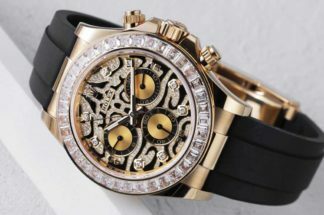 Among the many stories Aurel shared about the highlight pieces in the catalog this time round, the one that he led with is the one that seems to stick to memory best: The story of John Goldberger’s one-of-a-kind, white gold Rolex Daytona ref. 6265. 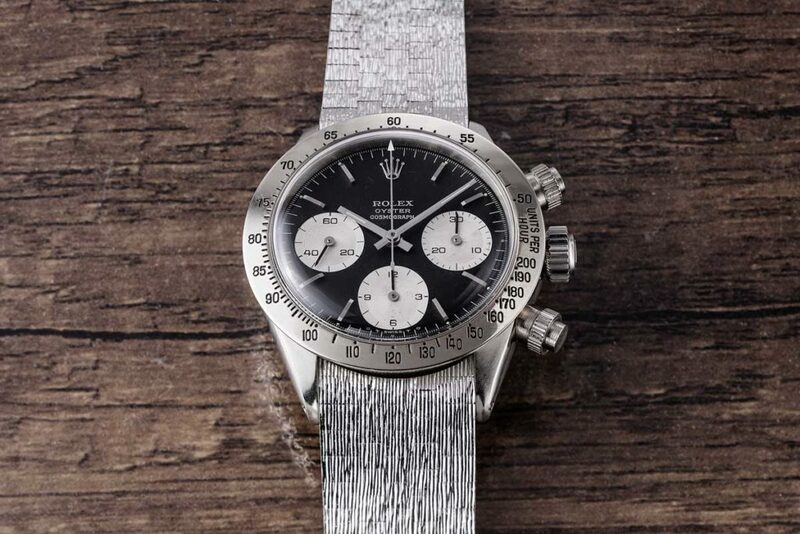 Aurel explained, that in the lead up to planning to put together the Daytona Ultimatum sale, top on their list of watches to have for sale was this very 6265. 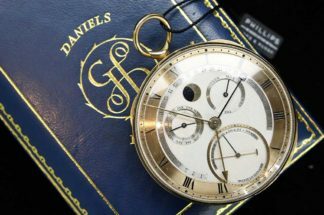 But when they initially approached John Goldberger to ask if he’d be willing to offload the watch at a thematic sale, his reply was a clear and simple — no way. It’s not that he was unwilling to part with the watch. What John didn’t want is the eyes of the collectors’ community staring him down, knowing exactly how much money he would have walked away with. 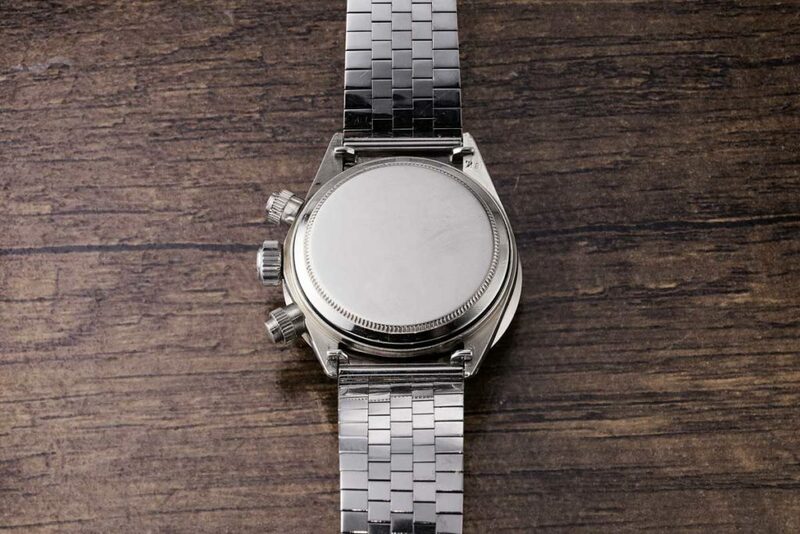 So, that’s how the watch ended up in the Daytona Ultimatum catalog. Although, truth be told, the story that I really wanted, was of how John Goldberger came to acquire this rarity; so rare that we the commonfolk know it simply as, the Unicorn. 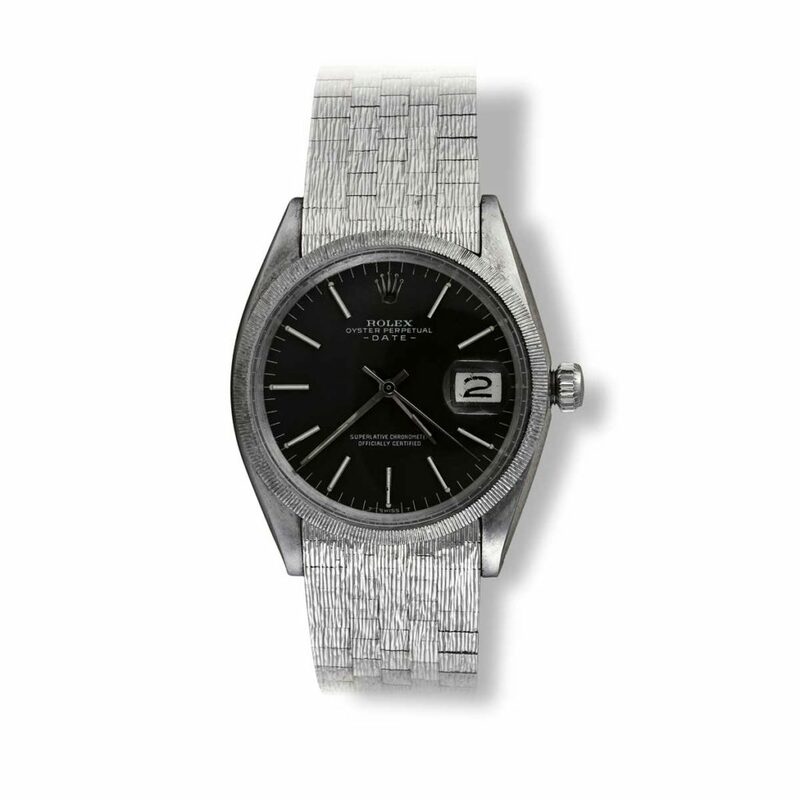 The few things we know about the watch for a fact include that the unique 6265 was made by Rolex in 1970 and sold, in 1971, to a dealer in Dortmund, Germany, who had placed an order for the watch on behalf of a customer with some means. We, also, know that the watch is genuine, because while Rolex doesn’t have a practice of verifying watches, they reject counterfeits when sent in for servicing. And this particular 6265 has seen the Rolex service desks quite a handful of times. The last thing we know for sure, is that John Goldberger bought the watch some eight years ago. And that’s it. That’s all the information there is out there about this watch. Okay, fine there is also some information about the bracelet that John’s put on the Unicorn — it’s taken from a white gold Oyster Date ref. 1507, manufactured in 1969. But that story of how John came to find himself holding the watch for the first time — what led to that moment — what emotions ran through him in that moment; what questions whizzed past his mind? That’s the story that I would’ve really liked. Of course, that is John’s story and his alone to tell. 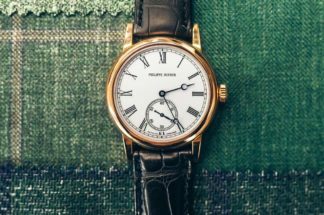 Luck would have it, though, that the day after the interview with Aurel, there was a gathering organized jointly by The Hour Glass and Phillips Watches, and guess who just happened to be on the list of specially invited guests. Given the crowd, it’s understandable that John was surrounded throughout the evening. It was only by chance and the good graces of a few friends at the gathering that I was able to go up and finally say hello to the man. But the conversation kept flowing from the hello. John’s clearly a man of great knowledge and one who shares it very generously. As I was working my way up to asking about the Unicorn, John, the gentleman that he is, offered to answer any of my questions, as long as I not ask about the Unicorn. Talk about a screeching halt. So, I asked. Not even in its wildest dreams could my mind have ever prepared for what was about to happen next. 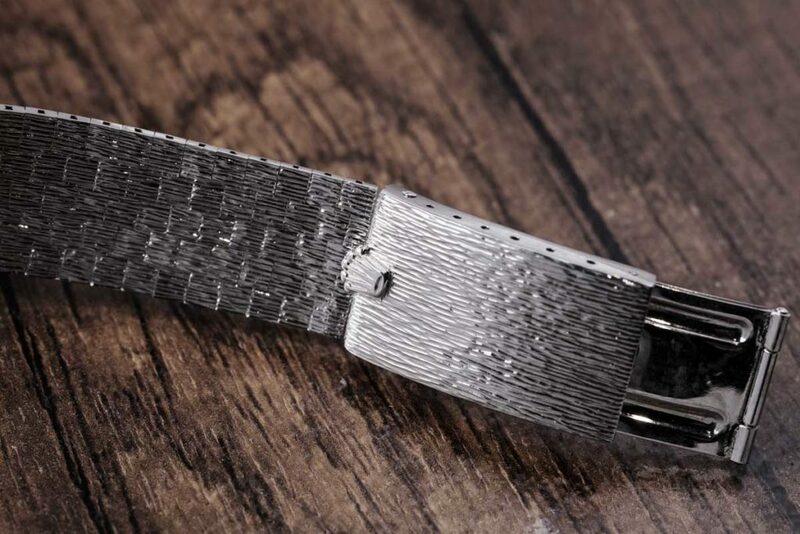 John started off telling me the facts — that it’s a bracelet taken off a Rolex Oyster Date ref. 1507; that he is a collector of unique and interesting bracelets from the 20th century from the likes of Gay Freres and etc. As he is telling me all of this, John reaches into his pocket, whips out his iPhone and starts scrolling. That iPhone, for sure, was not an average spec-ed out, off the shelf unit. For one, it had to have more than just the 256GBs of storage, because John had, what seemed to be, a complete catalog of vintage Rolexes, categorized by watch collection, year and references — and with accompanying hi-res images — dating all the way back to Bubble Backs and beyond. Once he had found what he was scrolling for, he turned his phone in my direction and showed me a picture of an Oyster Date ref. 1507, fitted with an example of the bracelet that is now on the Unicorn. John then went on to show me many more fancy bracelets that were in Rolex’s catalogs in the 60s and 70s, particularly meant as options for Datejusts and Day-Dates. As he was about to put his phone away, I asked if I could quickly snap a shot of the 1507 he had shown me. He instead offered to send me the image, in all of its hi-res glory. For those interested, all that information John’s gathered on vintage Rolexes isn’t just for himself. A lot it went towards putting together his book, the 100 Superlative Rolex Watches, which now exists on the AppStore for you to have and keep for a nominal US$24.99. The 1507, in question here, is mentioned in the book on page 161.